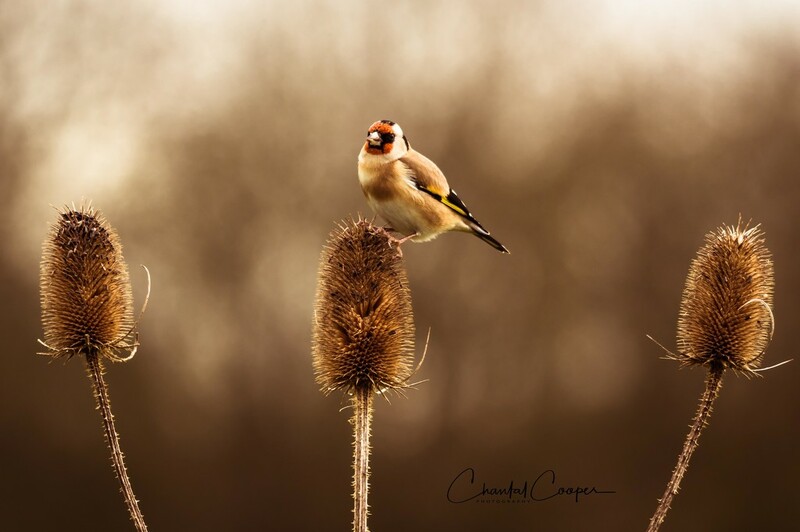 feeding on teasels. This is the first time I have seen them do this. I have lots of these teasels in the garden and did wonder if they are feeding or not. so I guess I will leave them there a bit longer. I honestly don't know how such an image is achieved. In part, I guess, it is being there and being patient. The rest is a mystery. Stunning. fav. Lovely! Great focus and perfect background. Well done capturing this! Really fabulous shot and processing! fav.